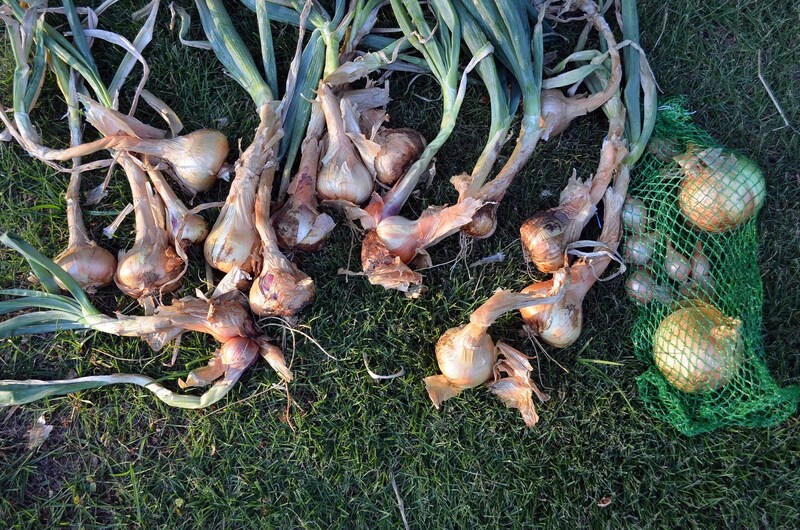 The potato onions are out ( 3 more of the larger ones evaded the picture). 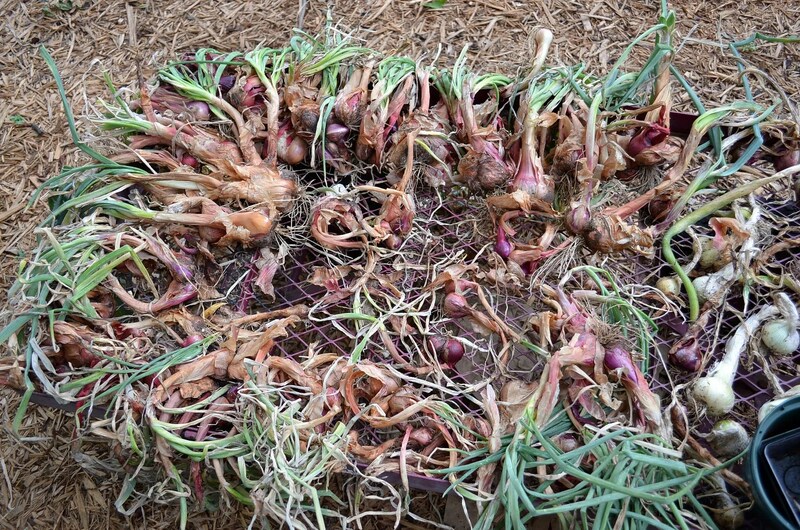 Eat the big ones, plant the small ones this fall and start over. 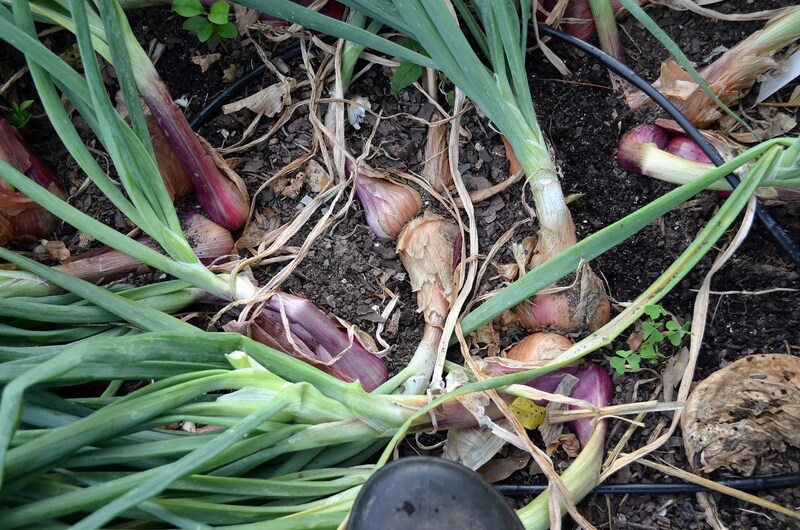 I like these; the modest harvest below came from 5 or 6 scrappy little seed onions planted last fall. 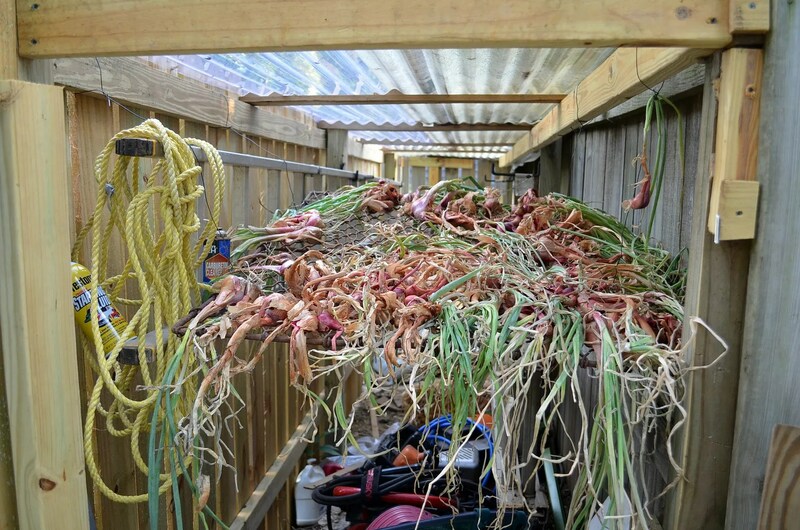 About 2/3 of the shallots are pulled and drying now (shallots are all but the far right in the cart). 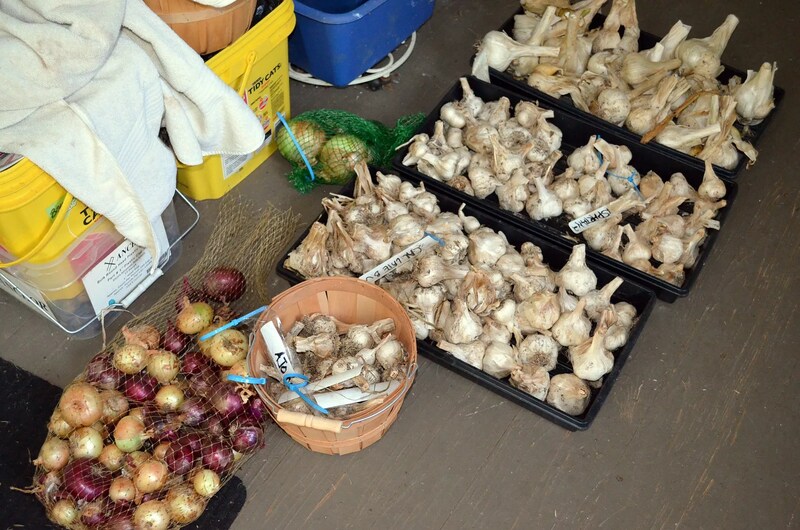 When the regular “storage” onions are all pulled, I will be faced with deciding what to do with the space. A good problem to have (finally), this surplus of garden space.